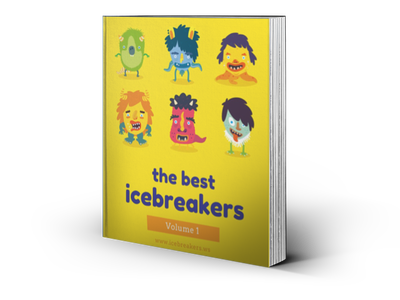 3 Games That Use Drink Cans - Icebreakers, Icebreaker Ideas, Games, Activities! Here’s a cool party trick: if you leave just the right amount of liquid in a tin can, you can balance that can diagonally, on its edge. We’re use that fact to play a quick relay race, one part drinking game and one part balancing act. One unopened 330 ml drink can for each player. Tables or other surface in reach of all players. This is so they have somewhere to balance their drink. Split the room into two teams. Have each team arranged into a rough line, so they know what order they will play in. Give all players an unopened drink. For both teams tell the players at one end of the line that they will be the starting players. The starting players open their can, drink approximately three quarters of the contents, and then attempt to balance the can on it’s edge, as quickly as they can. As soon as a player has successfully balanced their can, the next player in their team can proceed to open their own can and attempt the challenge. This makes this game into a sort of relay race. The first team to get from the start of their line to the end, with the last player having successfully balanced their can wins! Do you think you could slide an empty can across a table… using only your head? Race others for the title of fastest moving face. Six empty cans per player. Place an empty can near the corner of the table. If two people play simultaneously, also put a can in the opposite corner. Each player will start in one of these corners. Nearby, but out of the way, place the other cans so you have stacks of two and stacks of three. Each player must push the single can from their end of the table to the other end using only their head and face. They cannot touch the can with their hands, shoulders neck etc. or they must take the can back to the starting position and try again. When a player has successfully pushed their can to end of the table, they immediately pick up a stack of two cans, put them in their starting corner, and go again with the larger stack. After the stack of two, players progress onto the stack of three. If at any time the stack falls over, it is immediately moved back to the starting position and the player can try again. This game is a race! The first player to get the third stack of cans to the end of the table wins. Become an architect of dangerous structures in this game, where you build a large, structurally unsound inverse pyramid out of cans and paper plates. Put the cans and paper plates in reach of the players. One can as the foundation. A paper plate on top of each level of cans. One extra can per level of top of the plates. Until you end with five cans on the top level, and a final plate on top. This creates a sort of wonky pyramid shape, with increasing numbers of cans alternating with paper plates. The structure may topple, but the players can always continue on from whatever is left. The first player to finish their “candelier" wins!